D.C. Landscaping of Ville Lasalle has built their business by giving quality workmanship and concern for the customer. Robert Cinquino learned about the value of customer service while working in his family garden centre since he was 7 years old. Cinquino’s knowledge of home garden products led to an interest in the landscaping business. In 1984, he started D.C. Landscaping when he bought a grass maintenance and snow removal route from another company. From this beginning over the years, he added more and more services. 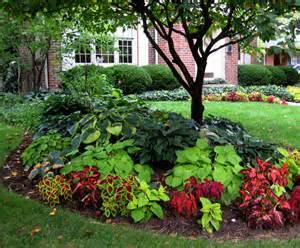 Today the company offers summer maintenance programs plus planting of trees, shrubs and lawns. They also developed expertise in cement work installing walkways, steps and retaining walls. They have become specialists in uni-stone over the years and have installed many driveways and walkways. Robert Cinquino explains why he has remained in the business all these years. Cinquino explains that landscaping should not only look better, but also function better such as sloping drainage always from the building to avoid foundation leaks. It is obvious talking to Robert Cinquino that he is genuinely concerned for his clients. His customers are loyal and use his services over and over. One such example is Maurice L’Espérance of Ville Lasalle who has hired Cinquino several times over the years. They offer a free estimate and a guaranteed satisfaction.